Drive-in movies were all the rage in the 1950s, whether for a classic date, teenage hangout or a fun family activity. They started disappearing one-by-one in the 1970s, and today they are nearly extinct. Almost gone, but certainly not forgotten, the magic of watching movies under the stars is making a welcome comeback. If you have the urge to relive those drive-in days of yesteryear, you’ll be especially pleased to learn there’s a new locally owned business in town. 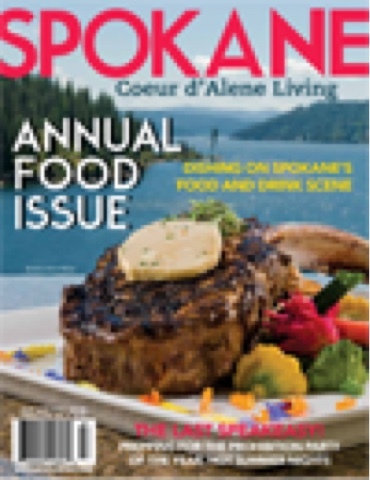 Spokane Outdoor & Drive-In Movies, led by Charity Bagatsing, a longtime Spokane resident, local magazine publisher, and all over creative force, is set to recapture the nostalgic outdoor movie experience. Like a new twist on a classic, today’s outdoor movies are portable, inflatable and come in a variety of sizes. 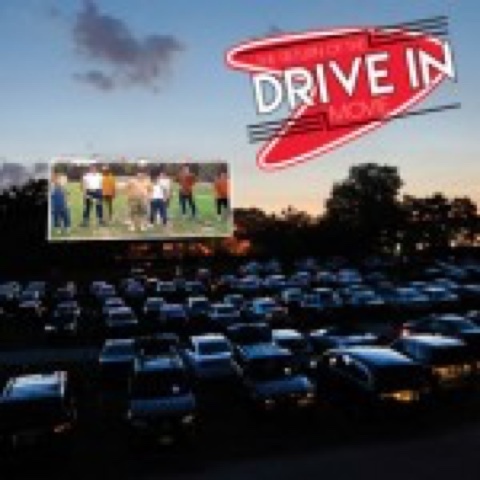 Brought to you by the Family Guide and FunFlicks Outdoor Movie Events, the largest outdoor (and indoor) movie event provider in the nation is proud to bring back to you all of the fun and nostalgia of the classic drive-in experience with modern day technology. The movies are simulcast over FM radio and broadcast through state of the art speakers and are shown on a 55 foot screen. Movies will be shown in two locations this summer. Going on now until August 20th, on every other Tuesday in north Spokane and every other Wednesday at Spokane County Raceway, you can catch a flick under the stars! Gates open to the general public for first come, first serve parking at 7:00 p.m. Of course, you need it to be dark to start the show. Movies start at dusk, which is around 9:30 p.m., and becoming earlier as the summer goes on and the days get shorter. VIP parking is available for an extra fee. In addition, both locations will offer vendor booths, pre-movie entertainment, games and contests. At the North Spokane location, there’s concession food and snacks provided by food trucks and other local businesses. Sounds like a good time to us. This location has a liquor license and serves beer and wine in the separated beer and wine garden. In addition the concession area will be open for snacks, sandwiches and drinks. Group Rate: Special discount for non-profits and youth groups at $2.50 per attendee. Minimum of 12 attendees to qualify. Restrictions apply – please contact for details. For additional information, contact: Charity@thefamilyguide.org,or 509.928.9664. For more information, or to purchase tickets, visit their Facebook page: www.facebook.com/OutdoorMoviesSpokane www.facebook.com/OutdoorMoviesSpokane OR visit www.thefamilyguide.org. What about bringing the movie to you? From private backyard parties to major corporate events and everything in-between, we’re hard pressed to think of an event this wouldn’t work for. To a gamers delight, you can play video games on the huge screen as top gaming systems such as Wii, Xbox (Kinect) and PS3 (Move) are all available to create the ultimate gaming experience. They even take the complication out of technology as a technician will set-up and oversee the equipment, so you can enjoy the fun without hassle. Rental includes set up of the inflatable screen, a superior sound system, and HD projection system. Complete the movie with popcorn from an old fashioned style popcorn popper. What’s a movie without popcorn? Birthdays are a given but how about end of season youth sports parties, live sporting events, reunion photo/video slide shows and even a pool party. For movie screen event rental, go to www.funflicks.com/spokane-outdoor-movie-events.html or call (509) 477-9747. If you’re looking for a preview, you’ll find Spokane Outdoor & Drive-In Movies’ 20-foot screen with speakers playing 1930s classic jazz music at Hot Summer Nights, the Last Speakeasy at Arbor Crest Winery on Friday July 24th. Tickets for the event are available at ticketswest.com. Theme attire encouraged, ages 21 and up.